Fractured Worlds is part of the Overkill Edition package and will introduce a new story arc for the action RPG. Players dive into a new plane of existence formed from the collision of multiple broken worlds. You know, ordinary stuff. Four new dungeons await Victor, all of which shift layouts on a daily basis. There's also The Fracture to explore, an endless dungeon with new challenges at each tier. Fractured Worlds also increases the level cap to 60, adds an additional Destiny Card slot, brings in new crafting recipes, and introduces Talismans, a new kind of item that changes both visual appearance and the combat capabilities. Replayability has always been key with Victor Vran. Tons of weapons, outfits, special powers and destiny cards allow you to choose how you experience the game, and randomly generated items complement hand-crafted ones to keep loot drops exciting. You'll fight plenty of foes, explore dungeons and all that jazz, but while doing it, you'll dodge and jump around attacks like some sort of crazy acrobat, something most RPGs don't bother experimenting with. 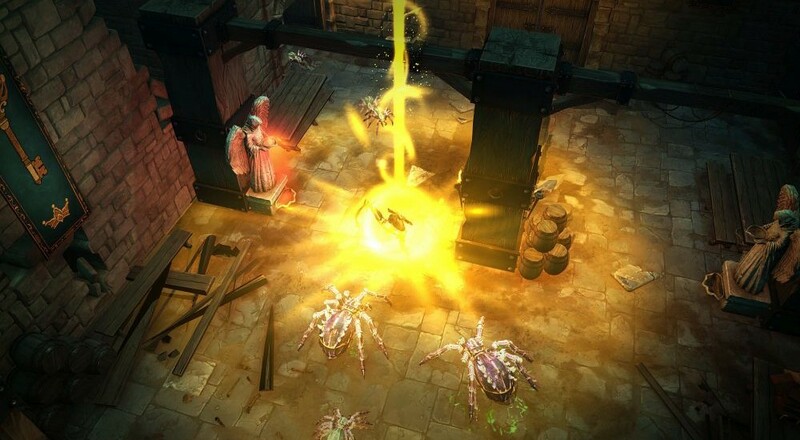 Victor Vran offers local co-op for two players and online co-op for up to four. A specific release date hasn't been announced for Fractured Worlds, only that it's expected to drop this year. Page created in 0.3379 seconds.